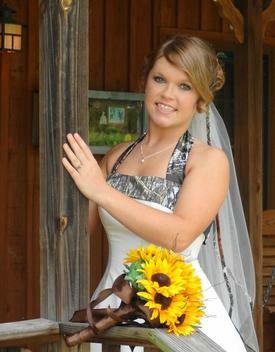 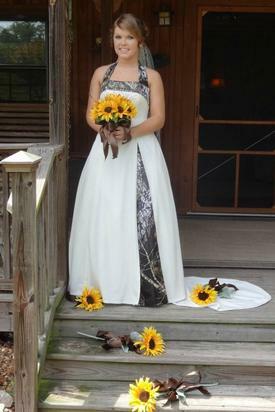 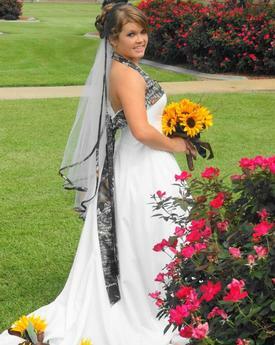 “Our DUTTON gown has a strapless bodice with camo accent along the top that flows around and down into a long sash that hangs to the floor. 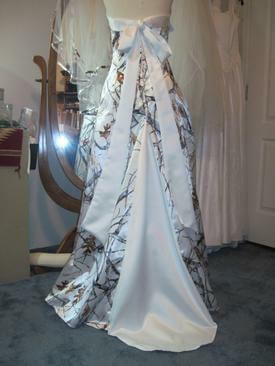 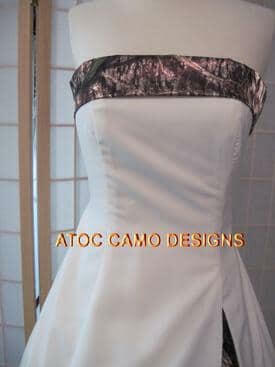 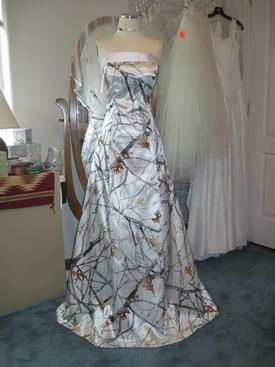 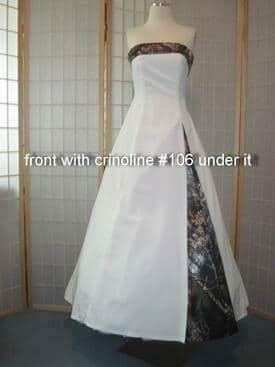 The skirt of the dress has an A-line skirt with princess seams, and camo accented skirt inset. 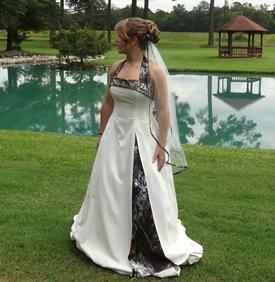 A zip-up back is standard on this dress due to the sash. 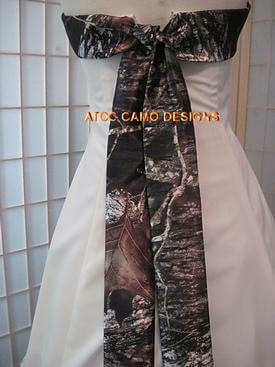 This dress comes fully lined with and 2-6 bones for support. 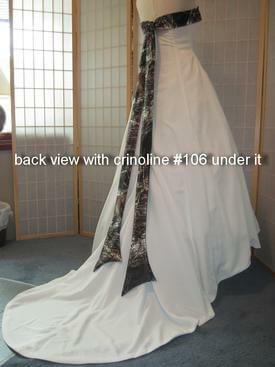 DUTTON is shown with an A-line crinoline underneath, and therefore we recommend the purchase of a crinoline if you would like to achieve the same amount of fullness that is shown in the pictures.